May the year 2008 be a prosperous and fulfilling year to everyone. 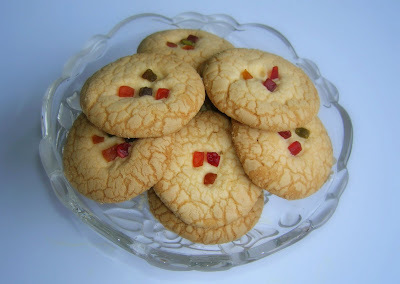 A big thanks to Sailu for sharing her wonderful eggless recipe of the tuity fruity cookies. I tried the cookies . Though mine were not as white as her's, it sure did come out very well. The slight yellow color might be because I used a yellow colored custard powder-vanilla flavor. She had used vanilla extract, but I used cardamom extract. I had to use drops of cold water in the end because the dough was little dry and I could not make balls. 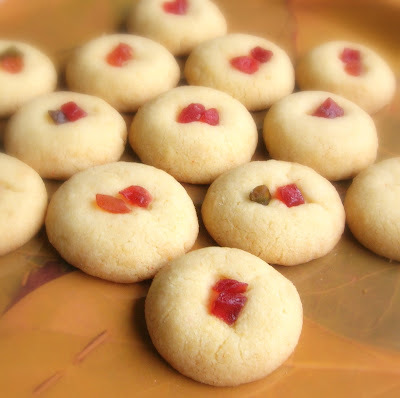 The recipe below is based on Sailu's Eggless Tutti-Frutti Cookies. 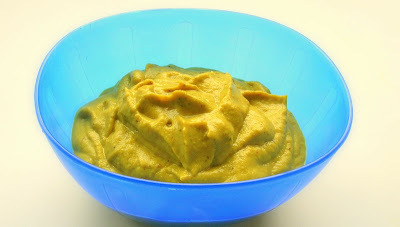 Mix together maida, baking powder, baking soda and custard powder and in a bowl and dry whisk them really well. 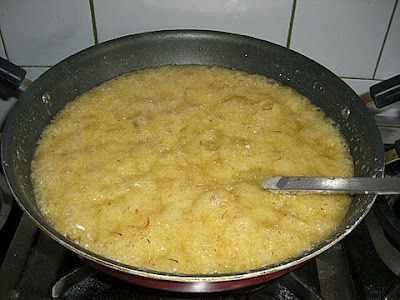 Blend the sugar and oil till smooth. Add the flour to the sugar-oil mixture. Add Cardamom extract and mix well to form a dough. If the dough doesn’t become stiff enough to roll out into balls, add a few tbsps of cold milk or water and chill for a few minutes. Make small balls out the dough. Garnish with tutti fruity, by slightly pressing into the dough. Place on a greased tray and bake in a preheated oven at 350 degrees for about 10 -12 mts or till done. Once baked, the cookie will feel soft on touch but once cool it will harden. If you over bake beyond the mentioned time limit, you will have a very crunchy cookie. Cool on a wire rack and store in airtight container. 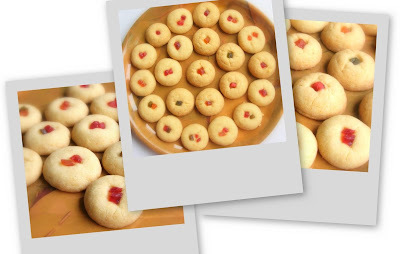 Thanks Sailu, for sharing this wonderful cookie recipe. I have launched a new website www.paajaka.com and transferred all the contents of http://trythisrecipe.blogspot.com to the new portal. 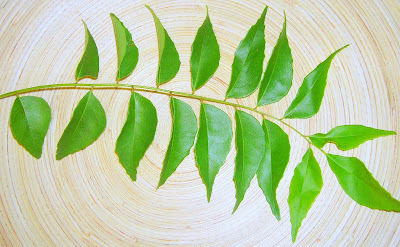 PAAJAKA in spoken sanskrit means 'A special Kitchen Utensil'. The utensils we use to cook becomes the special utensil of that recipe. There is one more reason I chose this name. Sri Madhwacharya was born in a hamlet near Udupi and the place is called 'Paajaka Kshetra'. This is my version of the navaratna kurma with lots of nuts and fruits. This delicious dish is so filling and is a treat for any special occasion. 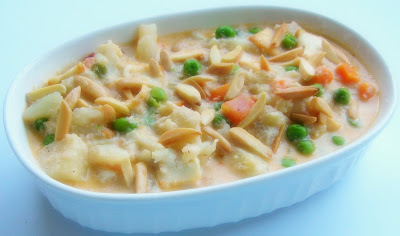 Navaratna means nine gems and the nine gems in my recipe are carrot, peas, potato, cauliflower, onion, tomato, almonds, pineapple and paneer. I added tutty fruity to add an extra punch to this rich gravy. Here is how I prepared. Heat Ghee in a kadai and roast the nuts. Keep it aside. Add the Butter and fry the Wet Masala - 1 for 5 minutes. Keep stirring. Add the Dry Masala and fry for a couple of minutes. Add the Vegetables and Salt and mix well. After two to three minutes add the Paneer, Fruits and Nuts and the Wet Masala - 2. Let the gravy thicken. 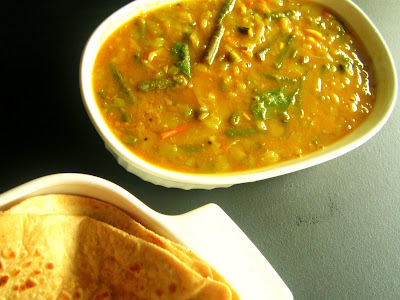 Turn off the heat and serve with Naan, Chapathis/Rotis or Parathas. Note: Other ingredients that can be added to the gravy are apples, raisins and green beans. 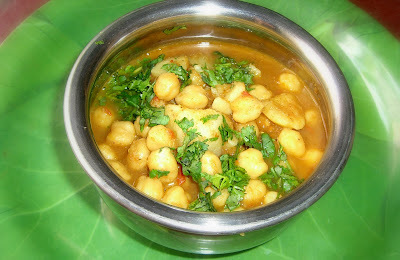 Here is the recipe for the spicy tasty Channa Masala from my mom's kitchen. My mom prepares the channa masala powder with very few ingredients. 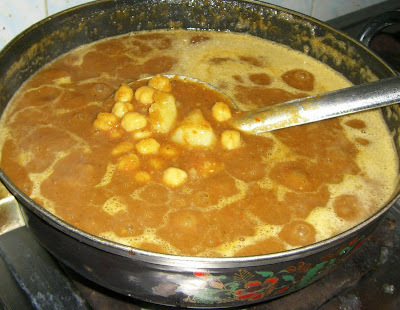 This Channa Masala goes well with Pooris, Chapathis and even Bread. 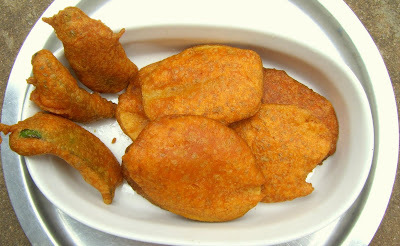 Awesome authentic delicacy with just few ingredients. Here is how she prepares. Grind Onion and Tomatoes separately. Keep it aside. 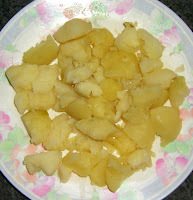 Grind little Potato with a tablespoon of cooked Channa and keep it aside. Heat little oil in a kadai and fry the ground onion. When it turns color, add the ground Tomatoes and a cup of Water. Fry for some more time. When its boiling, add the Red Chillies and Salt. Add the ground Masala Powder and cook for 5 minutes or until the powder blends evenly with the gravy. 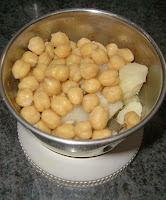 Add the cooked Potatoes and Channa. Add the ground Potato Channa. 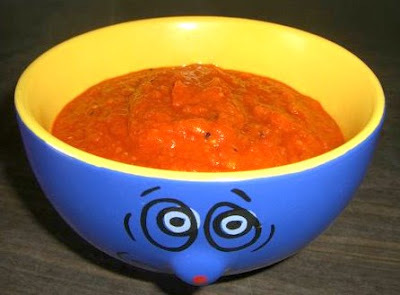 This enhances taste and gives good consistency to the gravy. Add the Jaggery/Brown sugar. Stir and allow it to boil for a couple of minutes. 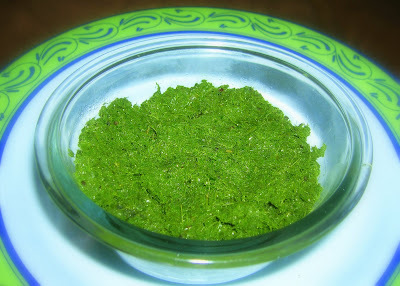 Garnish with Coriander Leaves and serve with Chapathi or Poori. Can be served with plain Bread too. 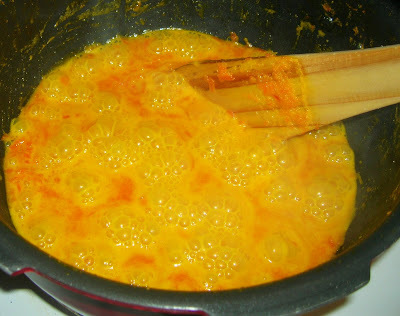 Add Turmeric Powder and Salt to the Buttermilk and mix really well. Keep it aside. Heat Oil in a kadai and spatter the mustard seeds, add Toor Dal, Chillis, Grated Ginger, Asafoetida powder, Mentha and Curry Leaves. Add the Buttermilk and give a stir. Wait until one boil and turn off the heat. For best results, keep mentha palidhya closed, for aleast a couple of hours before serving. 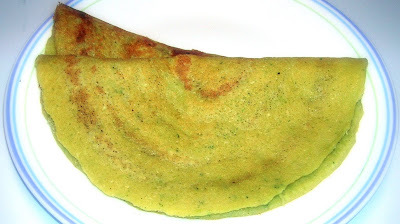 If you think the buttermilk is too diluted, mix a tablespoon of gram flour to it. Make sure there are no lumps. Wishing you all a wonderful, safe and a happy Diwali. 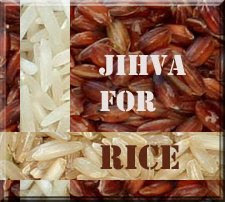 My friend Sharmi of Neivedyam is hosting the Jhiva for Ingredients event and she has chosed the staple food of the south, RICE. Last weekend, my dear friend Sowmya gave me a bag full of fresh ripe cherry tomatoes that she grew in her garden. The first thing that came to my mind was to try 'Mahanandhi' Indira's Cherry Tomato:Basmati Pulao, which I've been wanting to try for a long time. Big thanks goes to Sharmi for hosting the event, Indira for her wonderful recipe and to my friend for the tasty juicy Tomatoes. 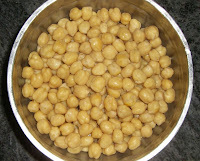 The main recipe is from Mahanandhi, but I substituted Sprouted Kala Channa in the place of frozen fresh chickpeas. Here is how I prepared. 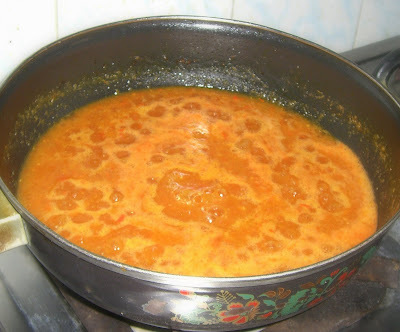 Heat oil in a large saucepan. I used Prestige Kadai Pressure cooker. Fry the Onions until soft. Add the green chillies, masala powder, bay leaf and Sprouted Kala Channa. Fry for a couple of minutes. Add the cut Cherry Tomatoes and fry until the Tomatoes are tender. 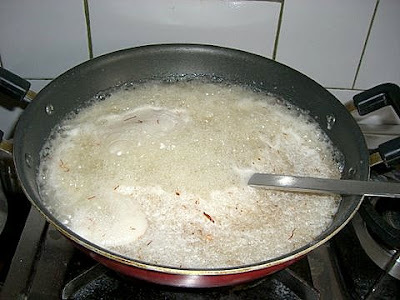 Now, add the Basmathi Rice, pour exactly 2 1/2 cups water and brind it to a boil. Add Salt and the Food Color (optional) and give a stir. Since I used Kadai Pressure cooker, I turned off the heat after 3 whistles (Please remember to take the cooker away from heat if cooking in electirc cooking range). If you are using a large saucepan, like Indira says, reduce the heat to medium and cook covered for atleast 10 to 15 minutes, until the moisture is absorbed. Do not stir as the basmathi rice will break. 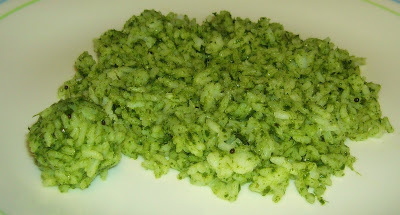 Just before serving, sprinkle finely chopped fresh cilantro. This tasted yummy and the best part is, its so easy to prepare. Very delicious and yet simple. Thanks Indira. This is my kadai pressure cooker that I got from India this time. I recommend this very handy and a convenient Cooker for busy moms. 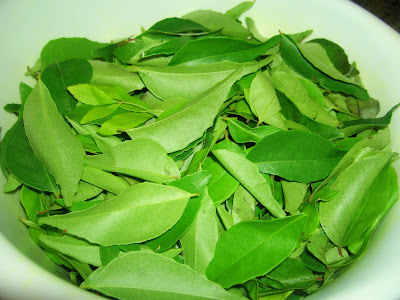 Hayagreeva is an authentic sweet from Karnataka. This is done on special occasions and can be done very easily. 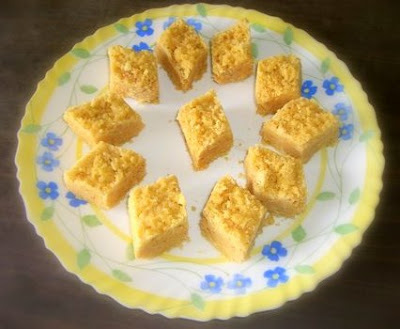 The sweet is made with Channa Dal, Jaggery and Ghee. 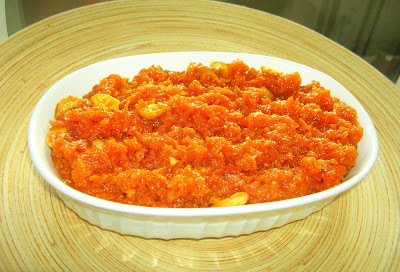 I am contributing this delicacy for my Dear Friend Asha's (Foodies Hope) Round up for RCI Karnataka . Thanks Asha for hosting this event. 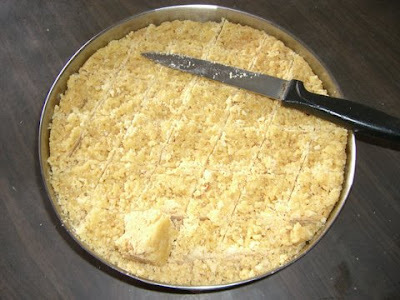 "Hayagreeva" is a brand name dish of the Madhwas. No major Madhwa social event is complete without the "Hayagreeva" dish. It is called "Hayagreeva maddi" by Madhwa chefs. (Madhwas are followers of the Dvaita Philosophy founded by Sri Madhwacharya). This sweet was prepared by Sri Vadhiraja Theertharu as prasad to Lord Sri Hayavadana and this is the speciality of the sweet. Here is the recipe. 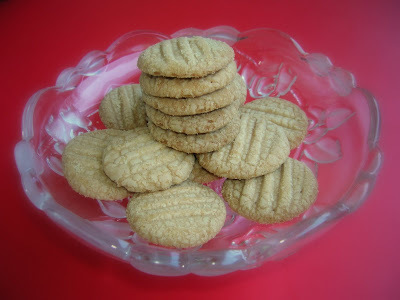 Cashews or Almond slices - roasted in ghee. Dry Roast Channa Dal for a couple minutes in medium heat. Pressure cook the dal. 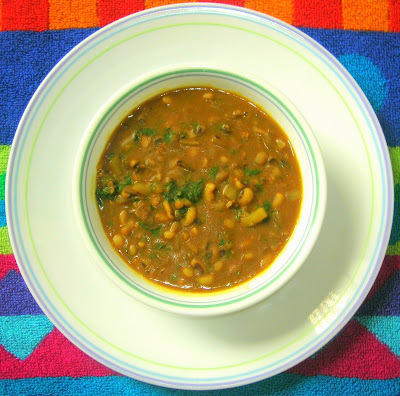 (The cook time for channa dal is more than toor dal). 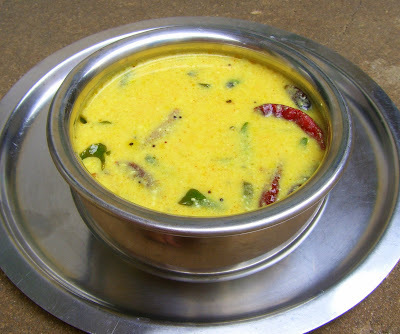 After the dal is cooked, drain the water and keep the dal aside. 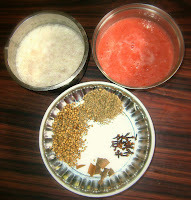 The water can be used for preparing Rasam/Saaru. Heat jaggery/brown sugar in a heavy kadai adding a quarter cup of water. 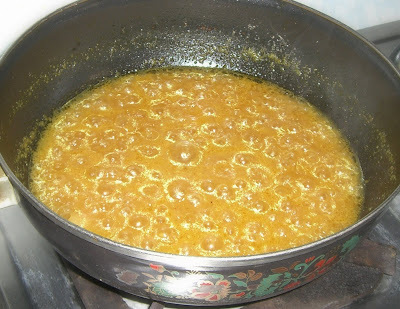 When the Jaggery melts completely, add the channa dal. Turn heat to medium. Keep stirring until the moisture is almost absorbed completely. While it's cooking, mash the dal with a masher. Reduce the heat and add the other ingredients viz. roasted coconut, cardamom powder, nutmeg, ghee, and nuts. Hello Friends, I am back. I had a lovely time in India. Very relaxing though it was a little hectic now and then. I am slowly getting back to the routine here. I have learnt a lot of new, interesting and easy recipes from my mom. Will be posting one by one from next week onwards. I visited Chennai's new mall 'Citi Center', watched 'Shivaji' in one of the premium theaters - Sathyam, visited Bangalore, hanged out in Forum Mall in Koramangala and all the more had Good Food in India. My daughter loved this trip as she had many people to attend to her and pamper her. See you all next week with new recipes. Till then, will check out all the wonderful recipes that were posted during my absence. The Nutritious Lima Beans, sometimes called 'butter beans' is rich in fiber and also reduces cholestrol and is very good for diabetic people as it prevents rise in blood sugar levels that rises rapidly after meals. It also provides fat free high quality protein. For more information on Lima Beans CLICK HERE. 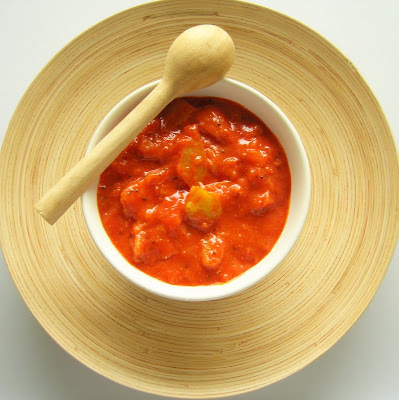 Here is a recipe thats delicious and yet a healthy choice for everyone. 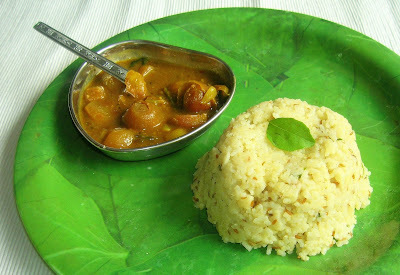 This is a regular Kootu where I added cooked mashed Lima Beans to the kootu instead of Toor Dal. The taste is superb and the feel of consuming a healthy food is wonderful. 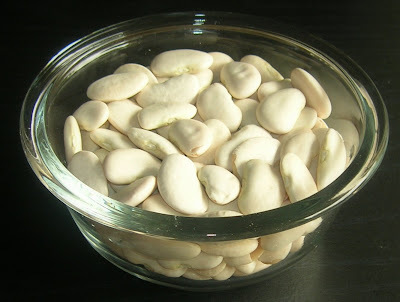 Soak Lima Beans in water overnight. Pressre Cook Lima Beans and Mash it well. 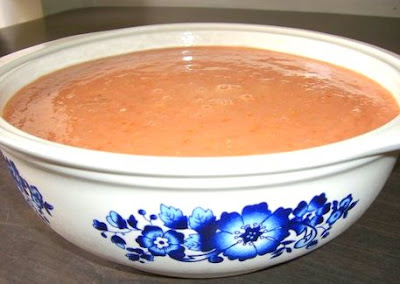 Fry the chopped tomato (no oil or water required) and add the mashed lima beans and stir until it blends well with the Tomato. Keep it aside. Heat Oil in a kadai and tamper the Mustard seeds. 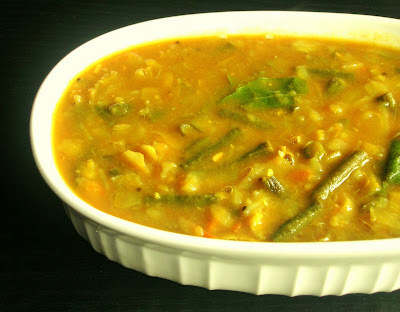 Add the Urud Dal and when it turns golden, add the Cabbage and Beans. Pour some water and allow it to boil. While the vegetables are boiling, add the Tamarind Concetrate, Turmeric Powder, Asafoetida Powder, Curry Leaves and Salt. When the Vegetables become tender, add the Kootu or Sambar Powder (I used Kootu Powder). Stir well and add the Mashed Lima Beans. Stir until the beans blends well to become a gravy. 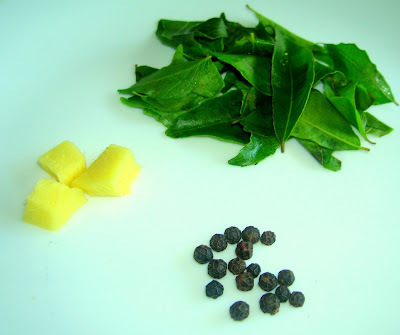 Garnish with cilantro and serve hot with Rice or Roti.